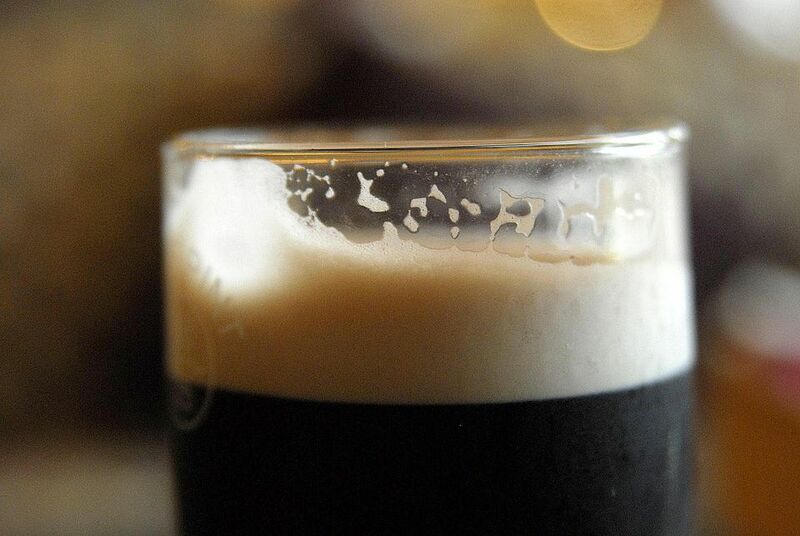 For many people the first thing that comes to mind when they hear the word stout is a black pint of Guinness. But the world of stout is much wider than that. There are many different styles of stout and the variety can be somewhat daunting. Here's an introduction to the different styles of stout. This is the style that represents a typical stout in most people's minds. It sits in the glass completely black with a thick, creamy, long lasting head atop it. It smells of dark, roasted things like coffee, barley, and chocolate. The flavor is rich and dry with perhaps a bit of acidity shining through. Sweet stouts cover the entire spectrum of sweetness. Some resemble dry stouts with just a bit of sweetness added while others are so sweet that the sugar high negates any effect the alcohol may have. Also called milk or cream stouts because lactose is the sugar used to give the beer its sweetness (beer yeast can't process lactose, so it remains in the stout). A good sweet stout is a beautiful thing. The sweetness balances against the bitterness of the hops and black barley for a rich, complex brew. This distinctive stout is slightly sweeter than a dry but not so sweet that it could be called a milk stout. The addition of oatmeal during the brewing process gives it an impressively long lasting head and a very smooth, silky mouthfeel. These characteristics work to spread out the sometimes sharp and jarring flavors of stout making it a great first timer's stout. This may be the second-best-known stout style. If you buy Guinness in the bottle—not the bottled draught-style—this is the style that you probably bought. In much the same way that India pale ale (IPA) was brewed with more hops and alcohol so it could survive transport to India, this style of stout was originally designed with more of everything so it could last through a similar journey. The style can sometimes resemble dry or sweet stout but with broader flavors and generally higher alcohol. As is often the case, once U.S. brewers started producing stout they began to put their own twists on the style until their version gained its own category. In many ways, American stout is an interpretation of foreign extra stout, which makes sense as this style was designed for export and would have been the been the version American brewers knew best. American stouts tend to have more pronounced roasted malt presence with a sharper, almost acidic, coffee impression. The citrusy American hops also make this style distinctive. This is the über stout. Imperial stouts are packed with lots of intense flavors and aromas such as coffee, fruit, dark chocolate, burnt grain, and currant. They typically have the highest alcohol content and a distinct, though not overpowering, alcohol presence may be detectable. With some much complexity, imperial stouts can be aged for a blending effect that will take off the intense edge. All stouts are porters. In earlier times, stout was a heavier porter, or a "stout porter." This is no longer universally true, as there are porters that are stronger than stouts. Today, it comes down to the choice of how a brewer labels the beer. For craft beers, it pays to read how the brewer describes the different characteristics so you can decide whether to give it a try.